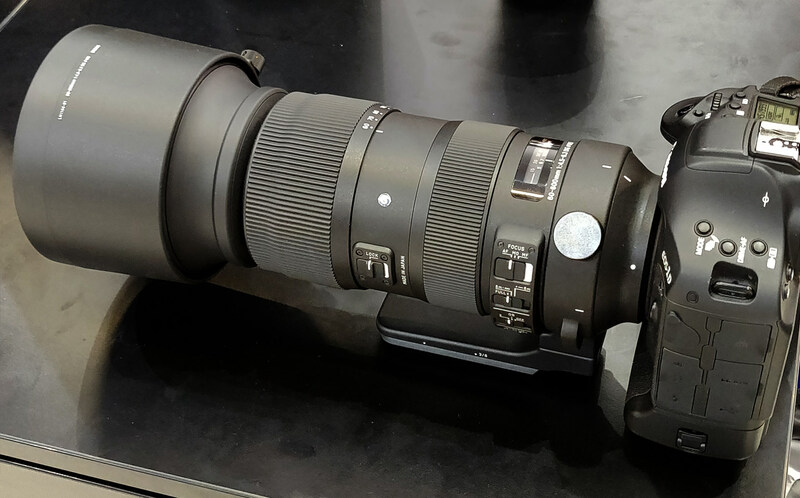 We spent some time looking at the new Sigma 60-600mm lens, at Photokina 2018, in Cologne, Germany. The Sigma 60-600mm f/4.5-6.3 DG OS HSM lens is designed for full-frame Nikon F and Canon EF cameras, and is also available in Sigma SA mount. The lens has an Arca-Swiss compatible tripod foot, and the lens has 9 aperture blades. It's also compatible with Sigma teleconverters. The lens weighs in at 2700g (2.7kg).